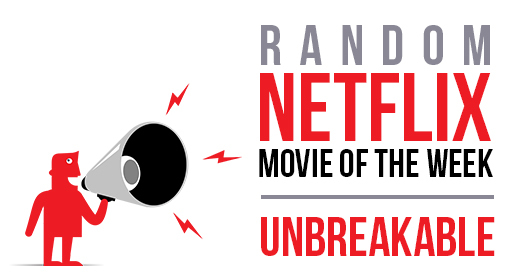 Unbreakable is, as most of you probably know, an M. Night Shyamalan film starring Bruce Willis and Samuel L. Jackson. It was released in 2000, and I saw it then. I liked it, even. However, in the 15 years since this movie was released – maybe because I learned I like comics, or maybe because I’ve grown as a person – it has gotten somehow richer and more mysterious to me. Willis is David Dunn, a quiet man who has a knack for surviving catastrophes. Jackson portrays Elijah Price, an intimidating art dealer with a debilitating weakness. They are opposites, David and Elijah, and when they are finally united – who is the villain, and is there a hero? Not only are the characters fascinating and the story engrossing, the film itself is beautiful. It takes talent to evoke feeling with just a camera angle and some lighting – but Shyamalan does it, again and again. If you’ve never seen this movie, you owe it to yourself to watch it as soon as you are able. It’s on Netflix – there’s no excuse. I may watch it again tonight. Are you reeeeaaaadddddy for the latest episode of the podcast, brother? It’s about wrestling! Listen to the episode here! Good tips, I have 3 videos on You Tube for products I sell on my website – as of yet I have not had any traffic to my site. I’m going to follow your intirucstons I’m sure this will help.